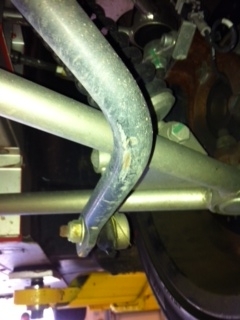 I recently had my year three servicing and the technician found a problem with the driver side sway bar link. The link was probably damaged from hitting road debris. The boot holds grease inside to keep the link lubricated. Because of the tear, the grease will eventually dry out and begin to make noise. The replacement part was $102, and the install fee $60.